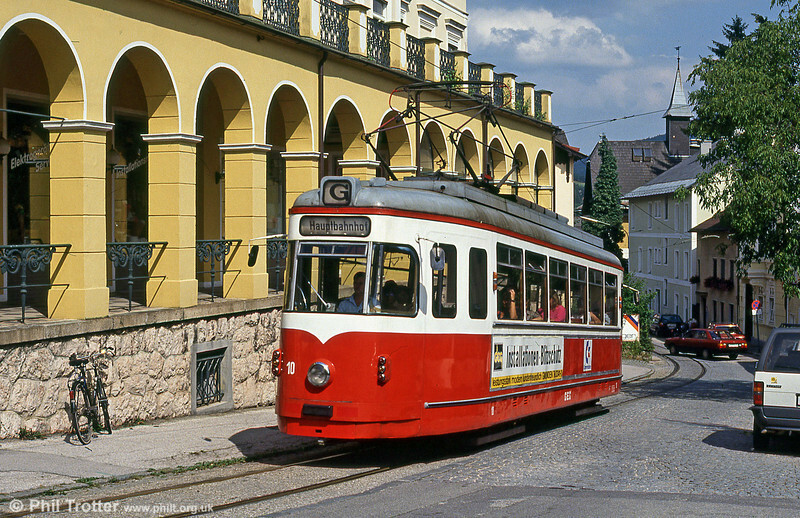 The Gmunden Tramway is the shortest and oldest remaining tram system in Austria. It is operated by Stern & Hafferl, which was founded in 1893. The tramway was opened on 13 August 1894. It is 2.3 km long and the line's maximum gradient of 9.6% makes it one of the world's steepest surviving adhesion-only tram lines. Easier than cycling: Gmunden 10 climbing away from the town on 11th August 1992. (First published in Light Rail & Modern Tramway, 3/93).